Published on Wednesday, December 4, 2013. 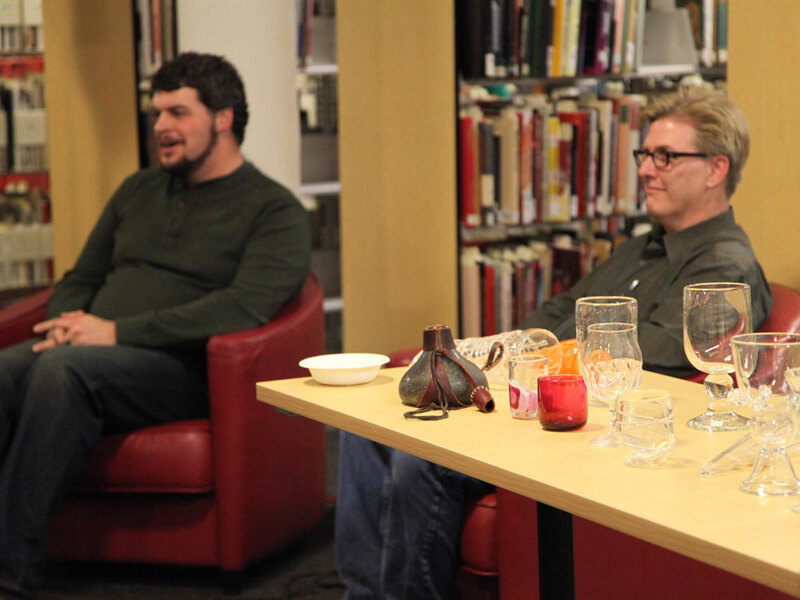 Our November salon - "An Evening of Craft Brewing and Glassmaking" - brought a standing-room-only crowd to the American Craft Council Library to hear about the history of brewing and glass production, taste some truly delicious beer, and marvel at some specially made drinkware from talented glass artists. 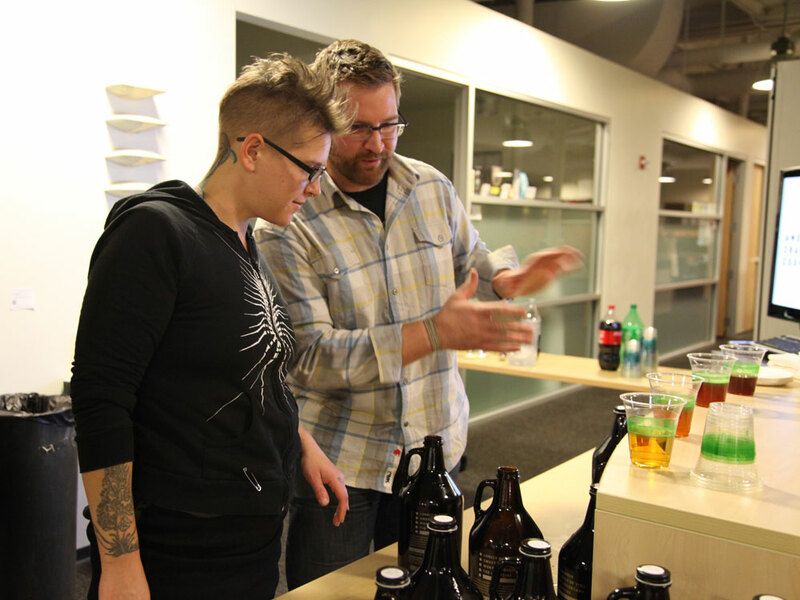 The event began with Ryan Petz of Fulton Brewing Company talking about the history of craft brewing in America, the techniques of creating beer, and the humble beginnings and rise in popularity of Fulton (as well as samples of some extraordinary brews). 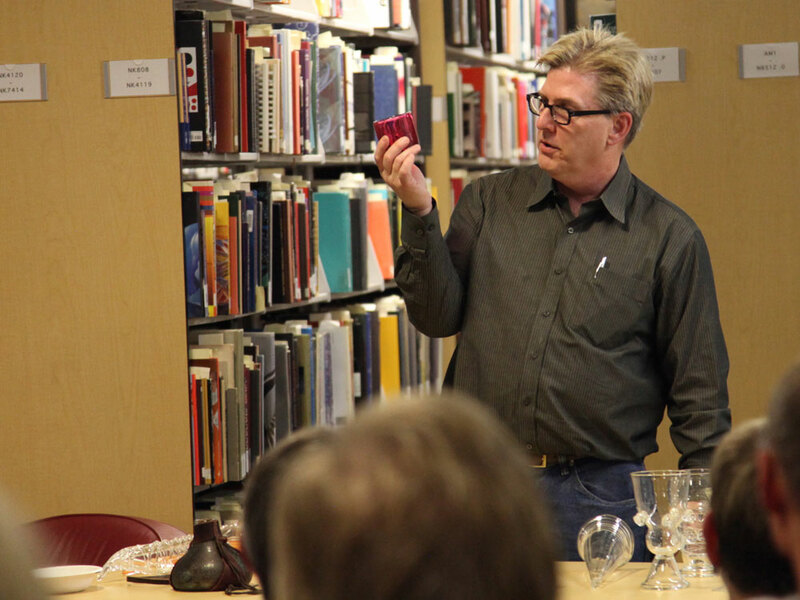 Bryan Ethier of Foci - Minnesota Center for Glass Arts followed with a presentation on the history of glassmaking and the special relationship that beer and glass drinkware have shared across cultures. 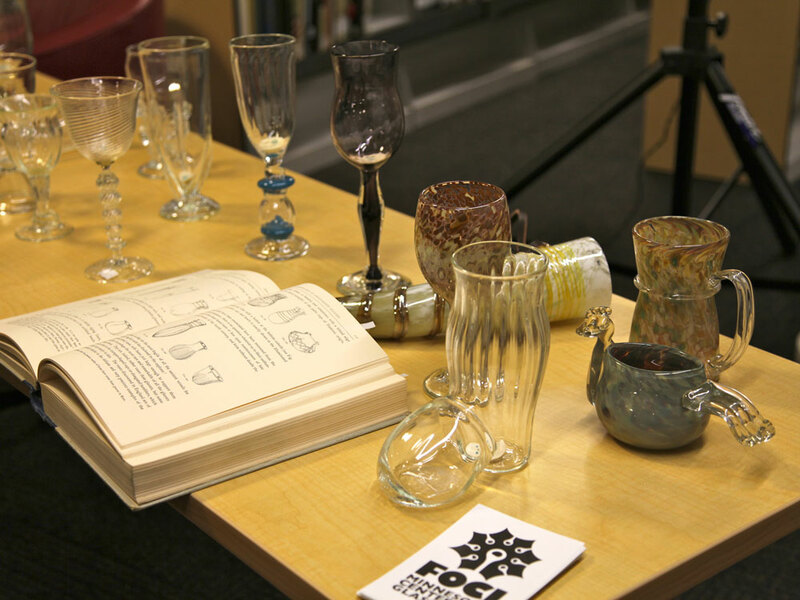 The salon included a special exhibition of classic drinkware - made specifically for the evening by Foci artists - with the audience voting on a fan favorite. At the end of the evening with all votes tallied, Bryan Ethier's stunning pirate drinking flask was declared the winner of the audience vote. Before the salon began, the ACC staff had a few moments to sit down with Ryan and Bryan to talk a bit more about Fulton and Foci. 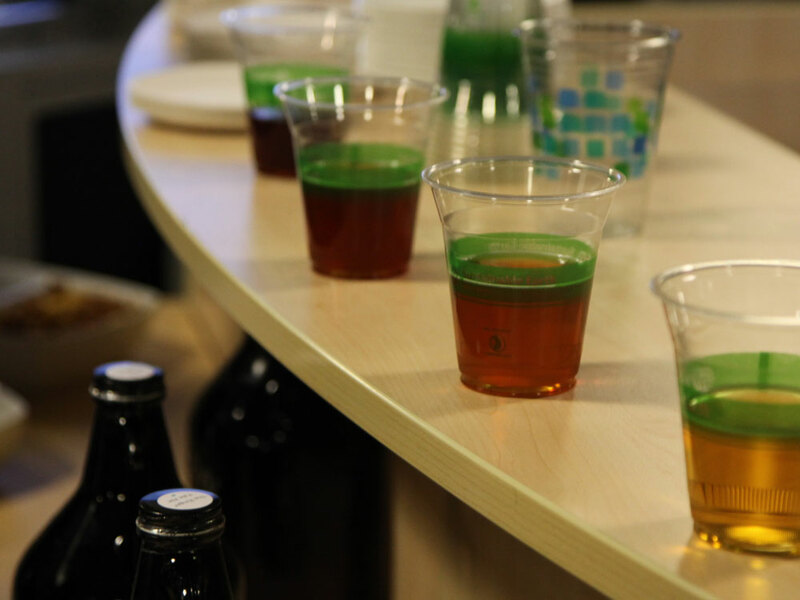 Watch the video above to learn more about these two impressive organizations and the skills involved in craft brewing and glassmaking.